For jazz fans in 2018, it might be difficult to imagine a time when pianist/composer Fred Hersch was not intimately associated with the Village Vanguard. For more than two decades the iconic New York City nightclub has been a home base for Hersch, who performs there for packed houses three times a year and has recorded some of his most acclaimed albums on its historic stage. But there is, of course, a first time for everything – and for Fred Hersch that first time was in July 1997. Not his first time playing at the Vanguard, which he’d done regularly since 1979 with a host of legendary bandleaders including Joe Henderson, Art Farmer, Lee Konitz, Ron Carter, Al Foster and others. That mid-summer week in 1997 was his first of many stints at the venue as a bandleader in his own right, placing him in the hallowed company of such icons as John Coltrane, Sonny Rollins, Miles Davis, Thelonious Monk, and Charles Mingus. Fortunately, Hersch and his trio’s three Friday night sets were captured for posterity and now, after 21 years, the pianist has hand-picked his favorite moments on Fred Hersch Trio ’97 @ The Village Vanguard, due for release on December 7, 2018 via Palmetto Records. The album’s eight tunes – a mix of Songbook standards, classic jazz compositions and original pieces – captures the Fred Hersch Trio of that time at the height of their estimable powers. Bassist Drew Gress and drummer Tom Rainey had been working with Hersch for five years at the point that they took the Vanguard stage, and those years shine through in the band’s vigorous swing, highly charged interplay, and sheer joy in discovery that they find in one another’s playing. Beyond its historical significance in Hersch’s career, this new collection is also a welcome addition to his discography in that it’s the only live recording of this much-loved trio. For those who weren’t fortunate enough to catch them live, Hersch’s work with Gress and Rainey could only be heard in its purest form on a pair of studio albums released by the Chesky label: 1993’s Dancing in the Dark and 1994’s Plays. (On Point in Time (1995) they were supplemented by trumpeter Dave Douglas and saxophonist Rich Perry, while they were joined by a full string orchestra on 1996’s Passion Flower: Fred Hersch Plays Billy Strayhorn. This release also marks the earliest available live recording by Hersch aside from his solo concert Live at Maybeck from 1993. The wisdom of that decision is amply evident in the profound chemistry shared by the trio throughout Fred Hersch Trio ’97 @ The Village Vanguard. The album opens with a robust romp through “Easy To Love” that showcases the trio’s muscular but elastic way with rhythm. The sensitivity of Gress’ playing comes to the fore on “My Funny Valentine,” while Rainey’s sharp-honed propulsion drives “Three Little Words” and prompts Hersch to take sharp curves at breakneck pace in his solo. The first of two Hersch originals, “Evanessence” pays homage to one of the pianist’s most respected predecessors on the Vanguard bench, Bill Evans. “Swamp Thang,” meanwhile, digs deep into the murky groove suggested by the title. Gress contributes “Andrew John,” introduced by a compelling solo rumination by Hersch before the trio contributes some of its most sparse and tender accents. With a contained intensity, “I Wish I Knew” exercises the bandmates’ gifts for subtle dynamic shifts, and “You Don’t Know What Love Is” ends the album at a blistering pace, at once staggeringly virtuosic and gleefully thrilling. The album is certainly a worthy addition to Hersch’s catalogue, even at a time when his current trio (with John Hébert and Eric McPherson) is scaling unprecedented heights, as it did on this year’s highly-acclaimed Live in Europe. But just as importantly, Fred Hersch Trio ’97 @ The Village Vanguard adds another chapter to the rich history shared by a revered artist and a legendary venue. 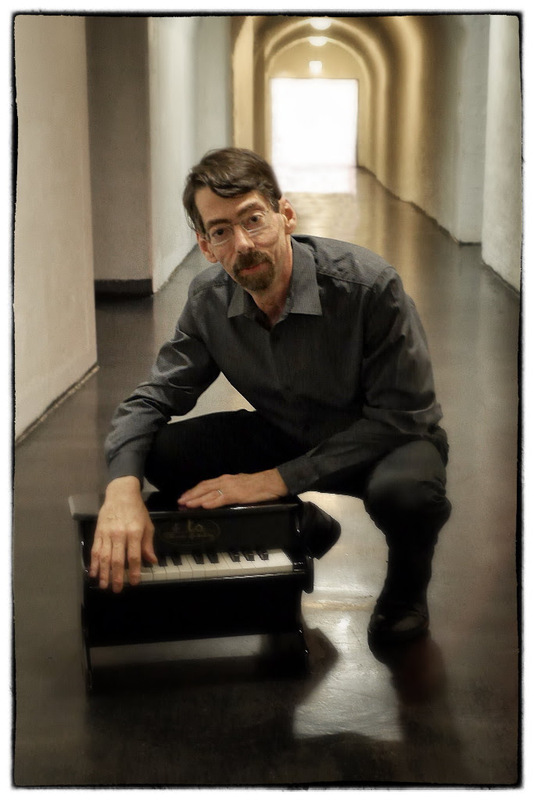 A select member of jazz’s piano pantheon, Fred Hersch is a pervasively influential creative force who has shaped the music’s course over more than three decades as an improviser, composer, educator, bandleader, collaborator and recording artist. He has been proclaimed “the most arrestingly innovative pianist in jazz over the last decade” by Vanity Fair, “an elegant force of musical invention” by The L.A. Times, and “a living legend” by The New Yorker. A twelve-time Grammy nominee, Hersch has regularly garnered jazz’s most prestigious awards, including recent distinctions as a 2016 Doris Duke Artist, 2016 and 2018 Jazz Pianist of the Year from the Jazz Journalists Association, and the 2017 Prix Honorem de Jazz from L’Acádemie Charles Cros for the totality of his career. With more than three dozen albums to his credit as a leader or co-leader, Hersch consistently receives lavish critical praise and numerous international awards for each highly anticipated new release. In 2017, he released his acclaimed memoir, Good Things Happen Slowly (Crown Archetype Books/Random House), which compellingly reveals the story of his life in music along with a frank recounting of his struggles and triumphs as the first openly gay, HIV-positive jazz musician. The book was named one of 2017’s Five Best Memoirs by the Washington Post and The New York Times. As a composer, Hersch has earned distinction with such visionary pieces as 2003’s Leaves of Grass, a large-scale setting of Walt Whitman’s poetry, and the 2010 multimedia project My Coma Dreams.